Like a trip to the local thrift store, 2019 Upper Deck Goodwin Champions packages a large selection of mostly unrelated content along with a (small) chance for some truly museum-worthy finds. The unique brand mixes sports, animals, pop culture and entertainment subjects, historical figures and literary classics into one wide-reaching trading card set. As was the case in 2018, each Hobby box contains three hits that can be autographs, relics, patches or 3D inserts. Collectors may have noticed that the set has been pushed several months earlier on the release calendar for 2019. The product is also found on ePack about a month after the traditional release arrives. Anchoring the 2019 Upper Deck Goodwin Champions checklist, the main set includes 100 base cards and 50 Splash of Color short prints. These SPs combine with the Goudey (1:4 packs) inserts to average 1:2 packs overall. There are also the standard Minis (1:4 packs), plus Minis Wood Lumberjack (1:20 packs) and hand-numbered Minis Black Wood Lumberjack (#/8) parallels. The 2019 Upper Deck Goodwin Champions autographs take collectors on a wild trip around the hobby. Customary choices include the main Goodwin Autographs (1:160 packs) alongside Inscriptions (hand #'d) and Splash of Color (1:1,280 packs) versions. 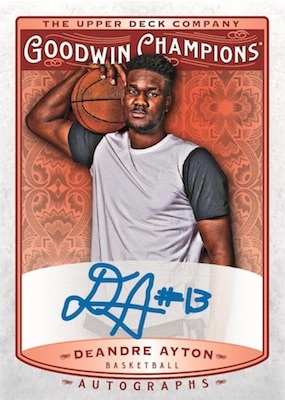 The Goodwin Cut Signatures cards are again one-of-one options. There are also Goudey Autographs (1:480 packs), Goudey Sports Royalty Autographs (1:8,000 packs) and Goudey Sports Royalty Dual Autographs (1:25,000 packs) cards. 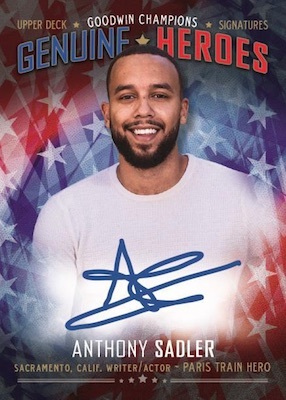 In addition, Goodwin fans can look forward to a new batch of Genuine Heroes (1:320 packs) cards, including signatures for Anthony Sadler, the hero from the Paris train attack in 2015. 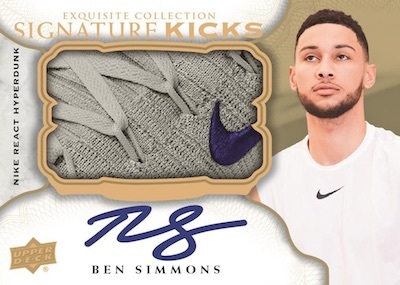 New for 2019, Exquisite Collection Signature Kicks (1:5,371) delivers numbered cards featuring on-card autographs and quality pieces from the player's signature shoe line. Each card is limited to 35 copies or less. It is worth pointing out that the shoes are noted as not being game-used or player-worn. 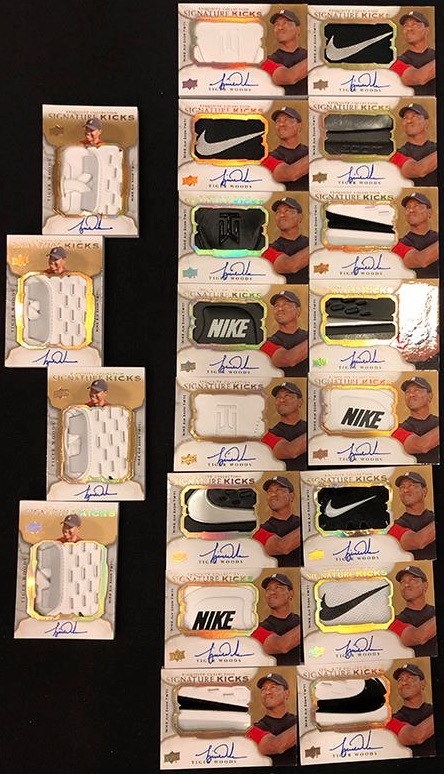 Soon after his Masters victory, Upper Deck revealed that Tiger Woods signed for the Signature Kicks set. Much like the autographs, the memorabilia cards in 2019 Upper Deck Goodwin Champions expand on the typical Goodwin and Goudey lines in the set. Manufactured patches are another staple of the product. This year includes Animal Kingdom and Civic Symbols, which highlights the flags of North America. Both sets have multiple tiers of varying rarity and pack odds. Bringing the wide world straight to collectors, 2019 Upper Deck Goodwin Champions continues the run of World Traveler Map Relics (1:50 packs) and hand-numbered National Parks Vintage Map Relics. The national parks cards break down further into Badlands (#/78), Carlsbad Caverns (#/30), Joshua Tree (#/94) and Glacier (#/10). And there is perhaps nothing better to pair with a map relic than the Ancient Currencies (1:1,504) cards. 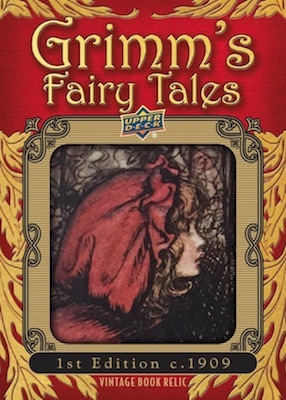 Avid readers might be especially interested in the Grimms' Fairy Tales Illustration Relics (1:1,200 packs), Sketch Booklets (1:720 packs) and Dual Sketch Booklets (1:2,160 packs). Of course, we can't forget the hand-numbered Goodwin Masterpieces Art of the Ages cards, which are all one-of-one artistic interpretations. Pushing further into the historic territory, Museum Collection Aviation Relics (1:480 packs) and Jumbo Relics maintain the focus on items that tie into notable flights from the past. 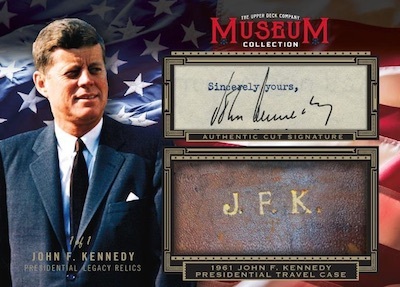 A true American artifact, the Museum Collection JFK Presidential Legacy Relics (1:4,000 packs) cards feature a piece of a briefcase owned by John F. Kennedy Jr. The ultimate chase is the one-of-one cut signature card in oversized form. 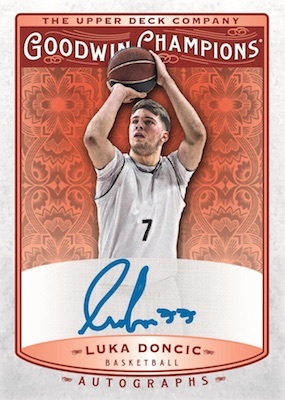 UD Bounty cards add another element to the 2019 Upper Deck Goodwin Champions experience. Possible pulls include Splash of Color Lenticular Tier 1 (1:40 packs), Tier 2 (1:200 packs) and Tier 3 (1:800 packs). 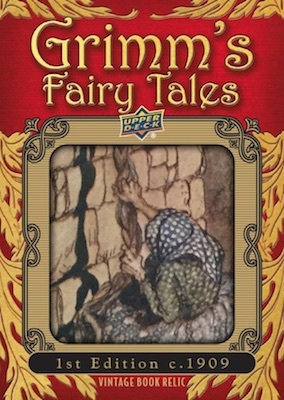 Once again they are destroying rare and first editions of classic books just to sell cards. Tiger Woods Signature Kick autos are perfectly timed for his Master’s win! Right on 2019 Upper Deck Goodwin!! 2018 Upper Deck Goodwin Champions Hobby BoX - Factory Sealed!